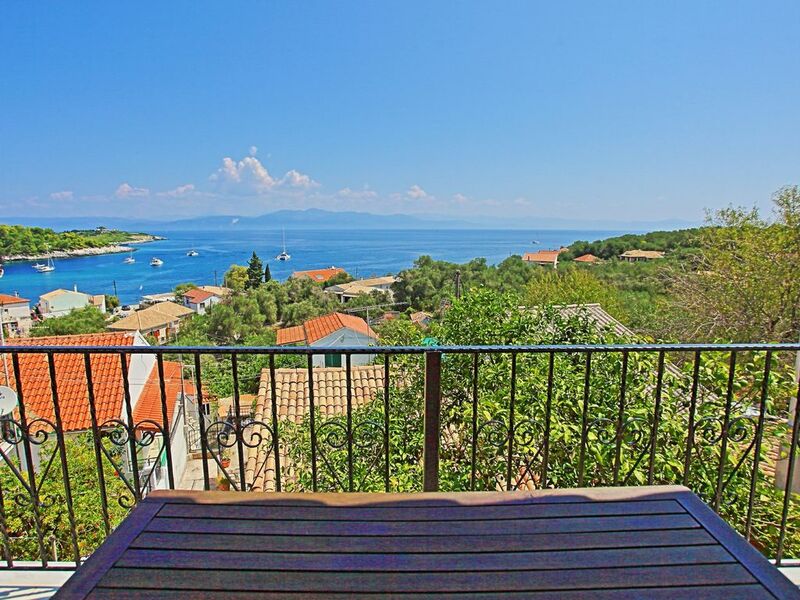 Villa Thea Antonis is a typical Paxos rental property, air-conditioned, located just a breath away from Gaios centre, in a quite neighbourhood, overlooking Gaios port and the open sea all the way up to Corfu and Greek Mainland. It is set on the upper level of a traditional Paxos house (owners live underneath and they are available for any need), it is really spacious for a family or party of six and boasts three sunny bedrooms. Large front balconies offer stunning sea views and un-obscured sight of Agios Nikolaos islet on your foot step. Thea Antonis is accessible via a side staircase, which lands on the back balcony and the main entrance leads into an open plan lounge, dining and kitchen area. Alongside this area are located the three air-conditioned bedrooms. One of them is the master bedroom with large double bed and the other two are twins, sharing in between them all one shower and one bathroom. Bedrooms? windows overlook the open sea and Mainland?s coasts just across. The living room door opens onto a front balcony, which offers spectacular views and the choice to rest or dine with the bay underneath your feet. On the outside, this charming property is surrounded by a large courtyard, quite safe for children to play. The local amenities are only a short walk, whilst Gaios centre just half a kilometre away and this is an additional reason why Thea Antonis is considered an ideal place to stay any party seeking a memorable and relaxing holiday away from it all, but also so close to them all.